041DJ001B-390 is a one piece 390MHz receiver logic board with mounting plate. 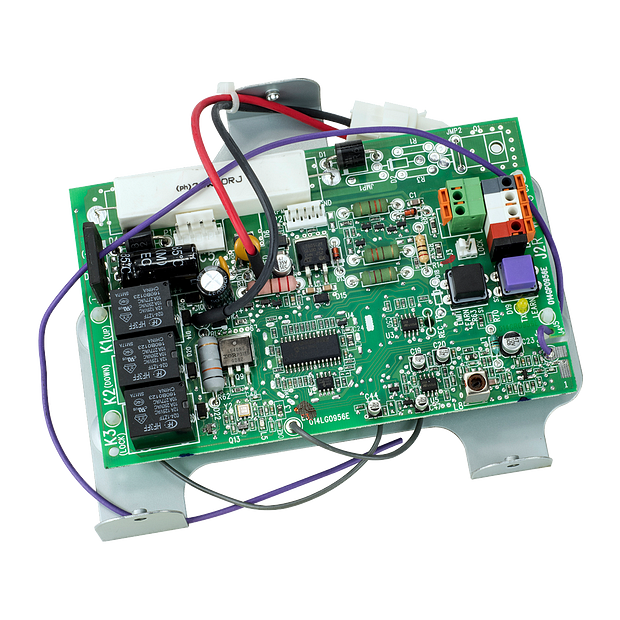 Compatible with Models 3800 & 3900, and various wall mounted garage door openers, made after 2005. Unit will feature a orange/red learn button. Check the manual for your specific model number before ordering to ensure compatibility.